Pop Quiz: What is the best landing page builder? Don’t know about you…but we picked our winner from the “none of the above” category. In fact, only ONE of the above tools made our Top 5 Best Landing Page Builders (Instapage *) and (spoiler alert) Landingi * came in #1. If you are in the market for a landing page tool, you are in the right place. For this project, we pushed all hype aside and put the products themselves to the test! Here and now, we will share our most important observations. We realize you can’t trial 15-20 landing page tools…so we did it for you! We conducted in-depth reviews of 16 top landing page builders. A key insight was that a top brand name does not always mean a top product. We recommend the following top tools: Instapage, Thrive, ONTRApages, and Landingi. What’s great is each of these elite tools approaches creating landing pages very differently. Look at our videos, write-ups, and buying guide to decide which is best for you. * To break ties, we remove the price factor and tie goes to tool with the best average score of usability, features and design. We evaluated the landing page builders on four factors: usability, features, design and price. We scored each factor on a scale from 1-10. We equally weighted each factor 25% to calculate the overall score. We stack ranked each landing page builder from 1 to 16 based on this score. To break a tie, we removed the price factor and the tie went to the tool with the best average score of usability, features and design. The usability score is based mostly on the ease of use and intuitiveness of the editor. To a lesser extent, the usability of the dashboard as well as other parts of the tool may be considered. Can you use the tool effortlessly or does it give you a headache? Is the builder buggy or slow? How does it feel using the tool? free or restraining? Does it require a large ramp up or steep learning curve? Is installation or set up difficult? Is there a WordPress Plugin for easy publishing? Here we ask: How robust the feature set is? What can it do or not do? We are looking for things like A/B testing, countdown timers and 50 other factors. Template design is the main consideration for this score. We also may factor in the design of the tool itself and what key design-related features are or are not available. Of course, opinions on the design and styles of landing page templates are subjective. However, there is a growing trend toward simpler, cleaner designs over cluttered, “salesy” pages. So the modern style is what we look for in our design tests. For example, we prefer A over B. If you agree, we are on the same page! Do not get too caught up in the number of templates builders have. The style of the templates is more important. As long as there are over 20 templates, you should be fine. The best landing pages are usually simply designed pages. You should be able to accomplish any reasonable simple design with a few customization actions. There is no need to have a different template for every possible style combination. For the design of the tool itself, we favor simple, clean interfaces in the dashboard and the editor. The editor should have maximum editing space allotted and minimal space dedicated to toolbars. There are two main landing page builder pricing models in the industry: either recurring (typically SaaS landing page tools) or one-time payment (typically WordPress landing page builder plugins). Most builders are SaaS tools and thus charge a recurring payment. Recurring payments add up quickly so this becomes the most expensive option. Monthly payments are typically $29 to $49 per month with no long-term commitment. If the tool provides more functionality than just landing pages the price will be higher. Paying one year upfront usually triggers a discount. These discounts range widely but on average are 32%. With SaaS tools, you typically lose your pages if you end your service. While SaaS monthly costs are fairly similar, plan details vary drastically. Plans are hard to compare side by side as each has different features and limits. Some basic plans (also called standard or starter) can be limited by the number of leads, domains, visitors or pages. Others plans just limit features on less expensive plans like A/B testing until you go to the next tier up (usually called the Pro plan). Other feature limitations include integrations, support options and team member access. So know what is important to you and then find the best plan for you. Our buying guide can help. The second payment model is one-time payments. This is standard for WordPress plugin landing page builders namely OptimizePress, Instabuilder and Thrive. The cost of the tools is typically $67-99 for use on 1 to 3 sites. The payments include one year of support and product updates. So, if you don’t continue paying for support, you will still have access to the tool and your landing pages. It is common for plugins now to have some sort of membership monthly option but one that is not required to use the main builder. Of course, you must have a WordPress site to use these products. Over one year, SaaS landing page builders are about 4 times more expensive than WordPress landing page builders! The most important feature of a builder is the editor. The editor is where you customize the templates to make the landing page your own. Each editor is very different from one another. Pixel Precise Drag and Drop (PPDD) editors offer functionality and intuitiveness. PPDD editors allow you to freely move items anywhere on the canvas. Other editors (like CDDs below) require items to fit into a rigid column based layout. PPDD editors also allow overlapping of elements, an important technique for web design. They also allow the sizing of items by dragging the corner. Also, they have undo functionality. These features may seem basic but they are not often found in other editor styles. While Column-based drag and drop editors (CDDs) are the most common editor style, they are inferior to PPDDs in many ways. CDDs have many inherent weaknesses. What are the differences between pixel precise and column-based drag and drop builders? The worst part of CDDs is the rigid movement restrictions. Elements that you place on the canvas will not necessarily land where you drop them but instead move to the closest open spot, or column. This often means you can’t place an item where you want. Other side effects are elements change size unexpectedly (to fit the column), no overlapping of elements, often no undo nor an easy way to size elements. Besides these restrictions, the usability is worse as it is frustrating to not be able to complete basic actions. Though if built right, you can make CDDs work. If not, they will work against you. This difference is clearer when you compare the two drag and drag editors side by side. We like page block landing page editors. They are great for those who don’t want to go deep into design or settings but still want a degree of customization. Page block editors are modular systems consisting of page blocks, pre-designed multi-element sections. They make building a landing page easy and quick, which is the main point of landing pages after all. Block-based builders allow little to no movement of elements within a block. However, you have a lot of freedom and personalization options. Page blocks come in common website sections like testimonials, features and pricing boxes. You can mix and match any of the page blocks to add to your page. Instead of inserting elements like in most tools, you insert a fully designed section or page block. Page Block are templates for sections. Do the same with the rest of the sections and you have your landing page set up. Say you want to build a landing page with 4 sections. From the top, you first choose a hero image/headline block, then a product image block, followed by a testimonial block, and lastly a CTA/Opt-in form block. It is simple and will look great. Static builders are our least favorite editor style. With static builders, you can’t move items or add elements, only hide. There are few editing actions so customization options are very limited. They are easy to use but at a steep cost of severely limited options. Static builders are not any easier to use than other builders. For one, page block builders are easier with more personalization options. Furthermore, you can make working with drag and drop editors simple also. If you want similar constraints to static builders, just don’t move or add anything! You will have the best of both worlds. 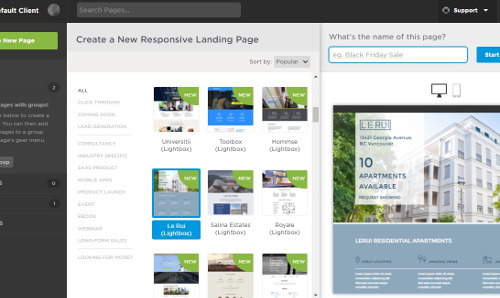 Launchrock is an extremely simplified landing page builder. It can meet some basic needs but doesn’t stack up against Launchrock competitors feature-wise. Launchrock ranked 16th on our list with an overall score of 6.25. The Launchrock editor is a mix between a static and column based drag and drop editor. These are our two least favorite editor styles so the Launchrock review did not start off well. During our testing for the Launchrock review, it took us three times using the editor to realize you can actually move elements. Launchrock is not the most intuitive tool. Instead of dragging the element itself around the page, you have to drag the element name in the sidebar. You can only move elements up a section and down a section which we found extremely limiting in our Launchrock review. Even though actions are limited within Launchrock, it didn’t strike us as a particularly easy to use landing page builder. Ease of use improvements would improve Launchrock’s ranking. Launchrock has by far the fewest features of any Launchrock alternative on our landing page builder rankings list. You may only add a few elements: text, image and forms basically. It is the only builder with no option to embed a YouTube video (if you upgrade to paid you can input embed code through the HTML container). There are no Launchrock integrations with email providers like MailChimp or AWeber. Subscriber opt-in details are sent to the “audience” section of your dashboard. There is no WordPress plugin which didn’t help the Launchrock review score. The design of the Launchrock templates is the best aspect of this tool. Launchrock features design templates that are modern and visually appealing. However, there are only seven templates so that limits your design options significantly. You can also start from a blank template but we wouldn’t recommend this. $5 a month will give you the ability to move to a custom domain, drop the Launchrock branding and add custom HTML and CSS code. Launchrock offers a complete free landing page builder option. Launchrock will host a basic landing page with a form, text and images at no cost. Although for free landing page builders, there are better options. We would recommend either ONTRApages and Wishpond as better free landing page builders. The starter plan is completely free so no need for a Launchrock free trial. There are no direct Launchrock integrations (however with the paid plan HTML form features you can likely add Launchrock integrations). The overall score of the Launchrock review is a 6.25 resulting in Launchrock ranking last in our landing page builder rankings. Extremely limited Launchrock features as well as poor usability hurt Launchrock’s ranking position. Launchrock’s best use case is for quick “coming soon” pages. We are not sure if it is trying to compete with the others on the list yet its name gets brought up as an option sometimes so we decided to include it in our landing page builder rankings. Megaphone is a static landing page builder with limited options and steep pricing. Megaphone ranking position is #15 close to the bottom of the list. The overall score of our Megaphone review is 6.5 out of 10. Megaphone is a static landing page editor which is our least favorite editor style. This hurt Megaphone’s ranking from the start. You can’t add or move elements at all, you can only edit and hide elements. Editing options are mostly limited to changes in text, images, background and colors. It has no drag and drop functionality whatsoever. During our Megaphone review, we found the tool is not difficult to use mainly due to so few options. This comes due to a large sacrifice in features and flexibility. Due to this, this type of editor is a deal breaker for us. If you want don’t want the ability to add elements or changes lots of settings, simply use a drag and drop or page block editor and don’t change anything. This way, if you do need to add one or two things you will have that ability. They don’t have a WordPress plugin so you’ll need to configure CNAME and DNS records to get the site on your custom domain. Another downside is there are too many toolbars and side bars. Worse the sidebar is not minimizable. The Megaphone editor should be opened up and enlarged. The Megaphone feature list is very light on compared to Megaphone alternatives. Notable Megaphone features missing include no A/B testing, exit popups, Facebook publishing option, Zapier integration or undo functionality. Digital asset delivery is a helpful Megaphone feature. You can upload your lead magnet and they will deliver to subscribers automatically. Other important Megaphone features include two-step opt-ins, countdown timer, a small image and icon library and PayPal integration. Megaphone templates are nicely designed with modern, visual and uncluttered designs. They are not the best we’ve seen but there are a lot of solid Megaphone templates to choose from. This aspect had the most positive impact on the Megaphone ranking and review score. One particularly frustrating design limitation is you can’t choose the color of most individual elements. You only have a few choices for the overall color palette of the Megaphone template. Some design-related Megaphone features we found missing during our Megaphone review were image color overlay, custom fonts and custom favicon. Megaphone pricing is higher than most competitors on this list. There are no annual payment discounts making it even more expensive long term. Megaphone has a 30-day money back guarantee. Megaphone pricing starts at $49 per month plan which includes unlimited domains, unlimited page views but only 20 pages. The next plan up is $99 per month which gets you 50 pages and premium support. The $149 per month plan allows for 100 pages. There is not a Megaphone free trial or free plan but you can demo the editor on their website with no account required. After providing email, you are given immediate access. The entire Megaphone review was undermined by an inferior editor. Add that to a weak Megaphone features list and it becomes clear how Megaphone’s ranking dropped to the 15th position. Our Megaphone review score totaled a 6.25 out of 10. 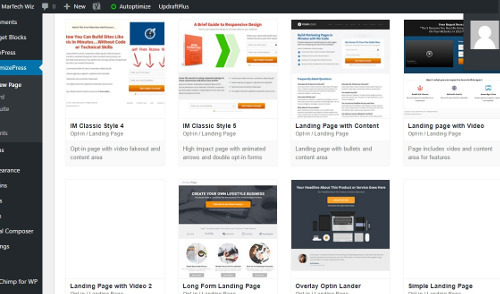 OptimizePress is a WordPress landing page builder plugin. OptimizePress features list is long but it offers a sub-par user experience. In our OptimizePress review, we reached an overall score of 7 putting OptimizePress’ ranking position at #14. OptimizePress’ editor is by default housed in a lightbox over the WordPress dashboard. It feels a bit cramped as this window size is far smaller than tools that open in a new window. One frustrating byproduct of this window in window view is there are two scroll bars and sometime our mouse got confused on which bar to scroll. Update: After some time doing our OptimizePress review, we found out the trick to getting it full screen is clicking the logo while holding shift. OptimizePress is a column-based drag and drop editor (CDD) with some multi-elements blocks. This is not one of the better editors we experienced. True to this type of editor, it is a bit clunky. You cannot overlap items, undo actions or size elements easily. The editor is not very intuitive so it took more time to adjust to it than tools of OptimizePress’ competitors. OptimizePress seems to designate only certain areas of the page where you can “Add Element.” It is confusing because you can’t delete those sections if you just want white space there (they render as white space on the actual page). It took us a while to see you can hide them but that also prevents any editing. We eventually found out if you add elements in those spaces you can then move them so those are not the only places you can have elements. Taking more time to get acquainted became a theme of our OptimizePress review analysis. Continuing the theme, it was not evident immediately there is a button designer tool as it looked like another preset button. Some more user testing would help them find more usability snafus like this. To move elements you have to hover over the item and select the move icon instead of just dragging the element itself. This was a frustrating usability issue only found in one other tool. On the positive side, you can easily move and clone whole sections. Cloning is great if you want multiple sections of similar content. Moving sections provides an option to play around with page layout easily. There is an OptimizePress feature that provides the ability to toggle the header on and off. This is helpful if you want a traditional page versus a landing page. They also have form templates which are quite well designed. There are handy tutorial videos that open up in a lightbox. One problem is media library bloat. OptimizePress adds tons of images to your media library that you may never use. It makes it really hard to find your own images in the sea of all of the icons and stock photos. OptimizePress competitors don’t have this issue. The sheer number of elements in the OptimizePress features set is a strength. Notable elements include a semi-dynamic countdown timer, custom fonts, digital asset delivery, exit popups, icon library and sales funnels. While A/B testing is mentioned as a feature, it is actually not available as of our November 2016 OptimizePress review and merely coming soon. OptimizePress features include some membership functionality. This is outside of our landing page scope but is related as it can help to gain more leads through gated content. OptimizePress has a sales funnel tool called Launch Suite. After a learning curve associated with many parts of OptimizePress, we were able to finally grasp it. There are advantages of using a WordPress landing page builder as opposed to a SaaS tool. You can easily use your favicon, manage landing pages in the dashboard with other pages not a third-party site and continue to use most or your favorite plugins and shortcodes. The downside is plugins especially like this can easily conflict with others. There are over 30 OptimizePress templates but the design felt a bit outdated and too “salesy” in our opinion. A highlight of our OptimizePress review experience was the video lightbox feature. It is well done and looked nice. The blocks/elements are underwhelming. Many are just glorified graphics: guarantee box, progress bar, order step graphics. Design-related OptimizePress features lacking include an image color overlay option and parallax images effects. OptimizePress pricing is affordable with a $97 one-time fee for a 3-site license and 1 year of support. However, unlike most plugins it only includes only 1 year of updates, not unlimited. This is worse than some other plugin alternatives that offer unlimited lifetime updates. There is no OptimizePress Free Trial like other OptimizePress alternatives in the WordPress landing page builder space. There is a 30-day guarantee. Our OptimizePress review resulted in a score of 7 putting OptimizePress ranking position at #14. OptimizePress features list is strong but poor design and usability hurt the OptimizePress ranking ultimately. Pagewiz has a fantastic editor but the lack of features and a major flaw uncovered in our Pagewiz review eliminates this tool from top contention. Pagewiz ranks #13 in our best landing page rankings with a score of 7.25 out of 10. We felt comfortable using Pagewiz’s landing page editor. For starters, it is a pixel precise drag and drop editor (PPDD). The canvas viewing window is full width (although we would like to see the top settings bar height shrunk down for even more space). Pagewiz features advanced alignment tools that are very helpful. There are rulers and page guides that you can show or hide. You can add Google Fonts directly in the editor. A convenient addition is right click functionality which lets you do things like delete or change an element. One odd thing is the corner drag to size doesn’t keep dimensions locked like most Pagewiz alternatives. The major downfall of Pagewiz is pages aren’t automatically mobile responsive! To get your page to be mobile-friendly, you have to create two separate mobile and desktop versions. You clone your desktop version and manually re-arrange the elements to fit in the mobile dimensions. We found this pretty painful during our Pagewiz review. Lastly, you connect the two pages in the dashboard. The same url will show mobile users the mobile version and desktop users the desktop version. Otherwise it is a fantastic editor but this is a major strike against the Pagewiz ranking. The Pagewiz features list has several holes. Throughout our Pagewiz review, we found several missing features that Pagewiz competitors had. Some key things missing are a countdown timer, alt text for images, custom favicon, publish as a Facebook page, popups, exit intent and some design features we’ll mention below. Additionally, there is no Pagewiz WordPress plugin so you will have to brush up on your CNAME records and such. On the positive side, every Pagewiz pricing tier comes with chat support. Also, A/B testing and Zapier integration is included in all Pagewiz pricing levels. Their digital asset delivery allows you to upload your lead magnet and unlock it once a form is filled out. You can have a “click to call” button action which is useful for mobile pages. xA unique, if outdated, Pagewiz feature is the ability to add a flash file which is rare these days but if you need that Page Wiz is your tool. There are about 30 free Pagewiz templates (and 50 paid Pagewiz templates through Themeforest). What’s nice is you can browse the Themeforest market templates without leaving the Pagewiz tool. Page Wiz template designs don’t stand out in any way – not great, not horrible. Some design-related Pagewiz features we would like to see that aren’t there are icon library, image library and image color overlay. Pagewiz pricing goes up from there. Also, you receive a 15% off discount for annual signup. A 30-day Pagewiz free trial is available and no credit card required. We would like to see more direct Pagewiz integrations. While throughout our Pagewiz review, this tool fell short, Pagewiz features some good foundational elements to build off of, mainly their editor. Our Pagewiz review score totaled 7.25 but with filling in some gaping holes, the Pagewiz ranking could easily improve to better than its current standing of 13th place among Pagewiz competitors. The Leadpages feature set is extensive but poor user experience on both editors hurts the Leadpages ranking. Leadpages received an overall score of 7.25 putting the Leadpages ranking at #12 out of 16 tools. Leadpages has two editors, neither of which are top leading page editors. We aren’t fond of CDD editors and this one didn’t change that view. An editor is the most important element of any landing page tool as it impacts everything else. CDD editors inherently have limitations like restricted movement, inability to overlap and difficulty sizing images. In fact, in Leadpages there is no way to directly size an element like an image! That said, it is a relatively new tool (March 2016) and is improving. Just recently they added undo functionality and dynamic actions to the countdown timer (so when it reaches zero, it can perform an action). We also liked how the editor autosaves. Lastly, the onboarding and training are very thorough, much better than most Leadpages’ competitors. However, who knows if and when it will reach or exceed the level of top ranked landing page builders? Currently it’s not fully baked but it has a lot of resources for its improvement. Leadpages features set checks a lot of boxes. In addition to the new dynamic countdown timer, digital asset delivery, publish as a Facebook page and exit popups are some notable features. A truly unique benefit is the ability to sort templates by conversion rate. Some features are only available in one editor. For example, A/B testing is not available in the new editor only the original editor. Two Leadpages features not common are Leadlinks and Leaddigits. A Leadlink is a link you can insert in a broadcast email that auto-subscribes anyone who clicks it to something like a webinar. Leaddigits is an SMS (text message) lead capture tool. These Leadpages features are not found in most Leadpages alternatives. The design of the Leadpages templates and editor is mediocre. Many of Leadpages’ templates have a cluttered, “salesy” feel. Some of the newer ones and the paid ones are more modern with full screen visuals and minimal noise. 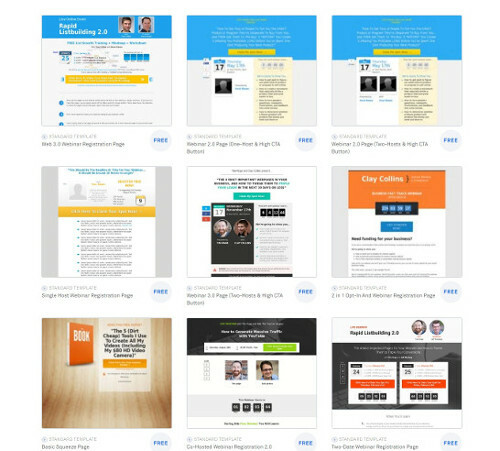 There are over 500 Leadpage templates (~200 free) between the two editors and the paid templates. You should be able to eventually find something that works. On the positive side, the new editor has an icon library, image color overlay and ability to customize the favicon. Leadpages prices the Standard plan at $37 per month, no commitment. If you pay one year upfront, you are charged $300 which is a 32% discount. To get the Leadpage features A/B Testing, Leaddigits and Leadlinks you will need to upgrade to the Pro Plan. Leadpages Pro is $79 per month with no commitment. If you pay on year upfront, there is a 38% discount off Leadpages pricing bringing the total to $588. Leadpages’ free trial is 30 days and requires your credit card information. Some of Leadpages’ integrations such as HubSpot and Salesforce are only available at the pro plan and up. 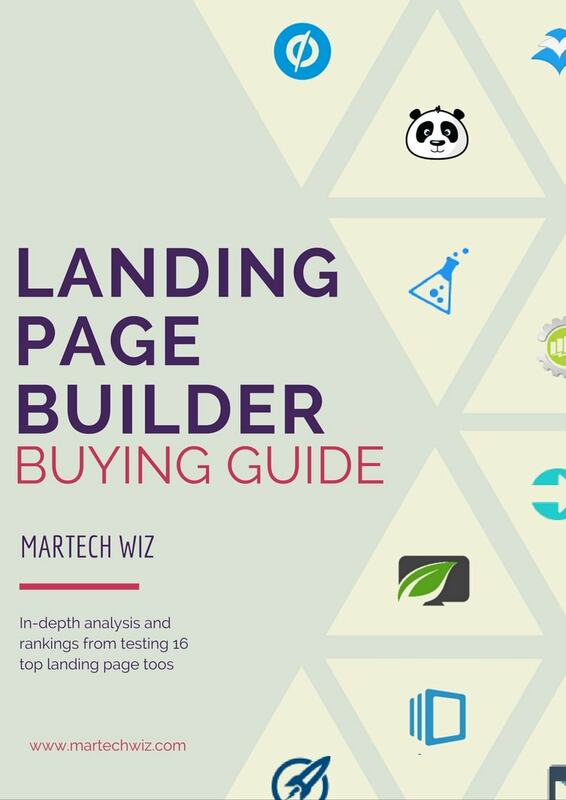 Leadpages ranks #12 on our best landing page builders ranking list. Our Leadpages review resulted in a score of 7.25 out of 10. While Leadpages’ feature list is impressive, poor editors hurt the user experience. Lander has beautifully-designed templates but a lack of important features keeps the Lander review score lower than several of Lander’s competitors. Our Lander review led to Lander ranking number #11 out of 16 tools we tested. Lander is a pixel-precise drag and drop editor (PPDD). Compared to other CDDs editors it is superior. Compared to other PPDD editors, nothing stands outs. Lander features all the associated benefits of PPDDs: overlapping elements, undo, sizing and free movement. Lander also has helpful alignment guides that automatically appear when you correctly aligned with another item. Yet there is no grouping tool which would be a nice. The user interface of both the dashboard and the editor is not the best. Lander’s score was lowered by the fact that the page edit viewing window is smaller than most Lander alternatives. They should maximize the space of the canvas by reducing the surrounding toolbars and sidebars. You can minimize the sidebar but while editing, you will likely have it open most of the time. Also, text editing is not done inline but opens a large bulky window that takes up about the bottom quarter of the screen. The lack of a WordPress plugin was detracted from the score from our Lander review. You must configure your DNS and CNAME records to link to your domain which no one likes. A plugin would improve the Lander user experience. A major disappointment is landing pages aren’t automatically mobile responsive. The Lander usability score and ranking took a hit from this miss. Changes made in the desktop version aren’t reflected in the mobile editor. In the mobile editor you have to start from scratch. There is no option to work from a clone of an existing desktop page in the mobile editor. 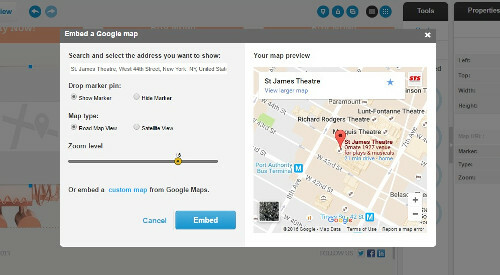 Lander features that aren’t very common in Lander alternatives include PayPal integration to create a mini checkout page and a fantastic Google map element. You can also publish as a Facebook page. They offer Zapier integration in the Pro plan. A/B Testing is included on all Lander pricing levels. However, in our Lander review we found that new variants can’t be a clone of an existing page which is unfortunate. The most glaring Lander feature missing is popups which means no 2-step opt-in or exit popups. This will be a deal breaker for many. Other Lander features not found in our Lander review are the ability to add custom fonts, digital asset delivery and, as mentioned, a WordPress plugin. Our favorite thing were the attractive Lander templates. There are about 50 Lander templates which are all beautiful. However, some missing design-related Lander features that would have been helpful were image color overlay, icon library and image library. Lander prices the Basic plan at $49 per month or $192 per year if paid upfront, which is a discount of 67%! We have not seen an annual discount in the industry as large as this Lander price cut. The basic Lander pricing plan accommodates up to 5,000 visitors per month and 3 domains. It includes A/B testing. Lander prices the Professional plan at $99 per month. Billed annually it is $888 per year, a 25% discount. The limits are 25,000 monthly visitors and 10 domains. This plan includes Lander integrations of Webhooks, Zapier, Marketo and Salesforce. Lander pricing plans go up from there. A 14-day Lander Free trial is offered with no credit card required. Lander has a PPDD editor and attractive templates. However, Lander is missing some key features which keeps them out of the top 10. The Lander review overall score came to a 7.5 making Lander’s ranking position 11. ClickFunnels is the “everything-but-the-kitchen-sink” marketing tool. It’s mostly known as a software for sales funnels, which are essentially a sequence of landing pages. ClickFunnels’ ranking comes in as the #10 best landing page builder. ClickFunnels’ review score totaled 7.75 out of 10. Also, the user experience should be streamlined further to improve clarity for users. There are a lot of options in the ClickFunnels dashboard and editor. We’d recommending different visual styles for different options panel instead of just a long list of settings in the same color and font. Thankfully, ClickFunnels onboarding is very thorough so you are supported through videos, a knowledge base, webinars, chat and more. ClickFunnels editor style is what we call Column-based Drag & Drop (CDD). The thing we like least about this editor style is that you can’t place items wherever you want on the page. Also, there is no easy way to size elements like images by dragging the corner. You cannot overlap elements or undo actions. That said, ClickFunnels’ CDD is well-built and intuitive for this type of editor. You will be able to accomplish most of the editing needs you have. It is a less frustrating experience than other CDD editors. They seem to have thought it through incorporating user feedback resulting in a more usable CDD editor than most of ClickFunnels competitors. The easiest publishing option is using their subdomain but pages will have ‘username.clickfunnels.com’ subdomain as the URL. There is a WordPress plugin, which provides an easy option so urls will not have ClickFunnels in them. However, you will not be able to use order pages, OTO (one-time-offer) pages or membership functionality with the WordPress plugin. To host on a custom domain or sub domain, you must use Cloudflare, a third-party hosting provider ClickFunnels partners with. ClickFunnels features include a lot of landing page functionality. They don’t want anyone saying “ClickFunnels can’t do that.” There is little you cannot accomplish that you can do in other landing page tools. This provided the biggest boost to ClickFunnels ranking and score. ClickFunnels does a ton more including cart, drip content, webinars (and ClickFunnels pricing reflects this). Our ClickFunnels review score and ranking here is only based on the landing page functionality and related lead capturing features for a fair comparison with ClickFunnels competitors. Features we didn’t see during our ClickFunnels review included icon library, form/button templates, image color overlay and true animated parallax effect. The design of ClickFunnels templates often feels a bit outdated. The internet-marketing, loud landing page feel and design is not going to be for everyone (lots of bold, underlining and arrows). ClickFunnels templates can give off a high-pressure, salesy vibe. Not saying they don’t work but they can come off a little cheesy. Consider how it affects your brand/target market and of course conversion. ClickFunnels’ homepage is a good example of the style. Since they have a marketplace for ClickFunnels templates, you have other options from outside designers. Ultimately, design had the largest negative impact on ClickFunnels ranking. ClickFunnels pricing is not cheap at $99 per month but it includes a lot more than just a landing page builder. There is definitely value to be had if you use the additional ClickFunnels features like membership sites, cart, etc. There is also a ClickFunnels pricing tier at $297 per month. ClickFunnels’ free trial is 14 days and requires credit card information. As you can see, ClickFunnels integrates with a ton of applications. ClickFunnels’ integrations include the following. Our ClickFunnels review and tests led to ClickFunnels ranking at #10. It is important to reiterate our ClickFunnels review here is only based on its landing page builder functionality. The tool is very different than most ClickFunnels alternatives so you should check our full review for more information. ClickFunnels’ features list is strong but its design and user experience could use some improvement. Unbounce is one of the most well-known landing page tools. Unbounce templates are beautiful yet some significant flaws hurt the Unbounce ranking. Our Unbounce review ultimately garnered a score of 7.5 out of 10 resulting in an Unbounce ranking of #9. 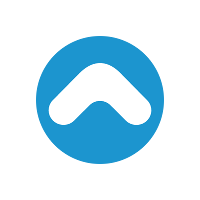 Unbounce uses a pixel-precise drag and drop editor (PPDD) which means free and exact element movements, overlapping elements and easy drag-to-size. We can’t underestimate how preferable this is to a column based drag and drop editor. The Unbounce canvas viewing window in the editor is smaller than those of most Unbounce competitors. They have three toolbars on top, one on the bottom and 2 side bars! Unbounce needs to consolidate this dead space to enlarge the editing window. The main side bar can be minimized but most of the time it will be open while editing and it is rather large when opened. One great Unbounce feature is their alignment guides, which easily centers elements vis-à-vis other elements. Yet it lacks a group alignment tool to do things like evenly space 3 items. Since true drag and drop offers more flexibility in movement this is important. Unbounce features a tabbed editor so that the landing page, form and thank you page are all accessible in the same editor window. Unbounce has a helpful positioning tool for the background image also. One major flaw is that pages are not automatically mobile responsive. You have to create a mobile version and then rearrange or hide elements for it to look right. We were shocked the pages were not automatically responsive. Worse, if you re-arrange the mobile version to make it fit a mobile viewport, it affects the desktop version! This is disconcerting in a supposedly top product that is premium priced offering. This makes editing and usability worse and hurts the Unbounce ranking. Unbounce features include some cool options but is missing other more important features. Unlike most Unbounce competitors, it has dynamic text (pro plan), automatic SSL (pro plan) and video backgrounds. The most powerful feature, dynamic text, allows you to insert the keywords from PPC Google Ads your visitor clicked on in the landing page they see upon visiting your site. Really powerful feature that almost no landing page builders have. A/B testing is included in all Unbounce pricing plans including the starter. Unbounce recently beta launched an exit overlay option called Convertables. We like the Unbounce feature to exclude your IP address from statistics. On the other hand, the editor lacks some key landing page features such as countdown timer, custom favicon, digital asset management, icon library and more. The size and activity of the user community are impressive. You are likely to get an answer or find a previous response to your same inquiry. If you search the forums, there are some threads on custom code options that are recommended by employees as well as community members. 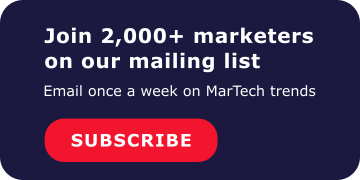 However, people don’t pay for a service like this to use code and many basic options that are available in tools of Unbounce alternatives are only available via code in Unbounce. For example, you would have to write/copy code to add a custom favicon, a Facebook page, or exit popups (maybe unnecessary with new Convertables feature). Using code by non-coders opens up the door for many things to go wrong. All of the 78 Unbounce templates look great. Really elegant and a variety of styles, color schemes and video backgrounds. This is very important as this is what the user ultimately sees and what will affect conversion. The design of Unbounce templates provides the positive impact to the Unbounce ranking. 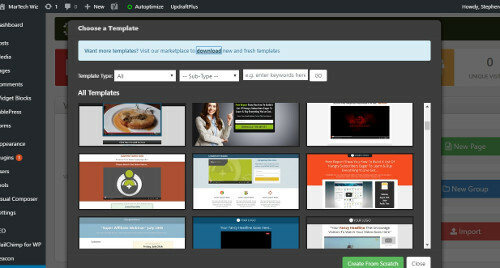 Additionally, there are 200 more templates for purchase on Themeforest. The dashboard like the editor is functional but too busy. We would like to see them streamline the options and open it up for more editing space. Unbounce pricing is fairly expensive. The starter plan is not only priced higher than most at $49 per month but also has fairly low limits of only 5,000 visitors and 1 domain (but comes with A/B testing). The limits mean most will need the $99 per month plan. With the annual discount, Unbounce prices this at $1,089 per year! The weak Unbounce feature set and unremarkable editor just don’t warrant that price. March 2017 Update: Unbounce just increased their prices significantly. The lowest plan is now $99 per month ($948 per year with 20% annual discount). The mid-tier plan is $199 per month and the Enterprise plan starts at $499 per month (with 20% annual discounts on both). The limits are different also. Low and mid-tier plans have a monthly traffic limit of 500,000 visitors. Enterprise plans begin at 500,000 visitors per month. This massive list of Unbounce integrations is a strength in our Unbounce review. The substandard Unbounce feature set does not stack up against Unbounce competitors. Still Unbounce prices plans at a premium. We arrived at an overall score of 7.5 in our Unbounce review resulting in an Unbounce ranking of 9 out of 16 tools we tested. The most outstanding Unbounce feature is their beautifully-designed templates. BitBlox is an impressive new block-based landing page builder. It has great design and is easy to use while still allowing for substantial personalization options. BitBlox ranked as the 8th best landing page builder with an overall score of 7.75. Every landing page builder says it is quick and easy, BitBlox really is. Throughout our BitBlox review, we found it one of the easiest to use and most intuitive landing page builders we tested. BitBlox is a page block builder. BitBlox has 65 page blocks that fit together seamlessly functionally and design-wise. There are many different styles of each type of block so you have options. You can mix and match any blocks. The blocks are not meant to be customized too much because they are pre-designed so you can’t edit individual elements much. You can delete elements and add some basic elements. It’s hard to mess it up. The result is a sleekly-designed landing page with minimal effort or ramp up. It is a gratifying experience to see a page you quickly made look so professional. While the settings are intuitive, BitBlox should add a knowledge base. BitBlox’s page block sections include navigation menus, cover/hero image and headline, portfolio, team, contacts and footer. With headers and footers available, you could even make a full website, especially a slick one-page website. If someone wants to personalize but is a little intimidated by a drag and drop builder or a lot of options, BitBlox is a perfect fit. 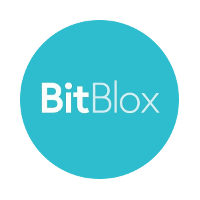 Being a new builder in a new type of page block style, BitBlox does lack several features commonly found in other more traditional tools. Lack of features is the major negative of BitBlox at this point. Some key features it does not have include countdown timer, undo functionality, Zapier integration, digital asset delivery, WordPress plugin, custom favicon and popups. During our BitBlox review, we would have liked to have the ability to link to lightbox forms for 2-step opt-ins. You can publish to your own custom domain or a subdomain. However, there is no WordPress plugin so you will have to manually connect BitBlox to your site with CNAME and DNS records. We could not find a way to enter page information like title and meta description which is important for SEO. Every BitBlox alternative we tested had this feature. A/B testing, chat support and professional integrations are only available in the professional plan. BitBlox has 11 well-designed page templates and 65 blocks. You can create almost limitless designs using different combinations of the page blocks. You can start from a blank template if you wish. BitBlox templates and page blocks have a modern, visually appealing style. They have a great mix of colors, images and fonts. Helpful design features we enjoyed during our BitBlox review included an icon library, true parallax background and image color overlay. You can also choose your color palette. BitBlox is one of only two tools we tested with a true (animated) parallax effect. Many try to pass off fixed backgrounds as parallax but they aren’t. We had some minor issues with the image window during our BitBlox review tests (it was blocking the image we were trying to edit). Also at points we couldn’t get the background to change. It was either a bug or we were doing something wrong. All BitBlox pricing tiers include unlimited pages, visitors, leads and domains. This is not common among BitBlox competitors and alternatives so a great choice for higher traffic websites. The basic BitBlox pricing plan is $39 per month no commitment. Paid annually, you get a 26% discount which comes out to $348 per year. You’ll need the BitBlox Professional plan to get chat support, A/B testing and professional integrations. The professional plan is $59 per month or $588 per year after a 17% discount for paying for one year upfront. All BitBlox plans come with a 30-day money back guarantee. BitBlox ranking of #7 is strong for a new tool. 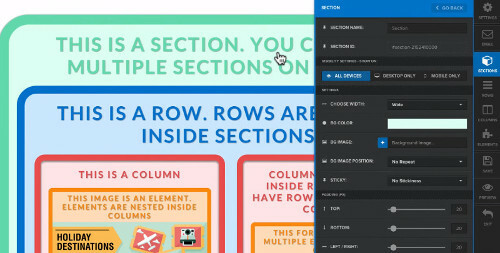 The page block editor and design overall provide a great new option to the landing page creator world. Wishpond’s strong feature set and attractive page templates are hampered by the mediocre editor hurting Wishpond’s ranking. Our Wishpond review scores the tool at 8 out of 10 putting the Wishpond ranking at 7th overall. Wishpond has a column based drag and drop editor (CDD). True to that editor style we found it sometimes difficult to move and size elements. With this editor style, instead of dragging it where you want, you have to drag it to the column closest to where you want it. Then arrange the alignment and margin settings to make further movement changes. This was a pain throughout our testing for the Wishpond review. Unlike most Wishpond competitors who have CDDs, there is a useful Wishpond feature to size images by dragging the corners. However most other elements cannot be sized by dragging. A nice Wishpond feature is the breadcrumbs which let you know which element is currently selected so you can style it. Most Wishpond competitors usually just have a large nested list of elements which can make it difficult to find which section you are in and the section you want to target for style changes. The thank you page and other pages associated with the current landing page can also be styled without leaving the editor. In the editor, the canvas itself is a bit small. 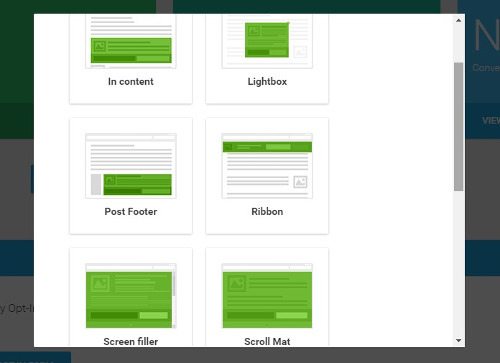 We would like to see Wishpond make the sidebar and toolbars thinner. You can publish through many options including a WordPress plugin which makes it easier for the user. Wishpond’s features include digital asset management, exit popups, icon library, custom fonts and Zapier integration as well as A/B testing (pro+ plans). Our Wishpond review liked the strong feature set – a big positive impact on Wishpond’s ranking. No major Wishpond features are missing but some possible improvements include true parallax effect (it has fixed), dynamic timer actions and an easy (no-code) custom favicon option. Wishpond templates for popups, form and CTAs are very well done and an option many Wishpond alternatives don’t offer. You can publish through the WordPress plugin, as a Facebook page or on your Wishpond subdomain. 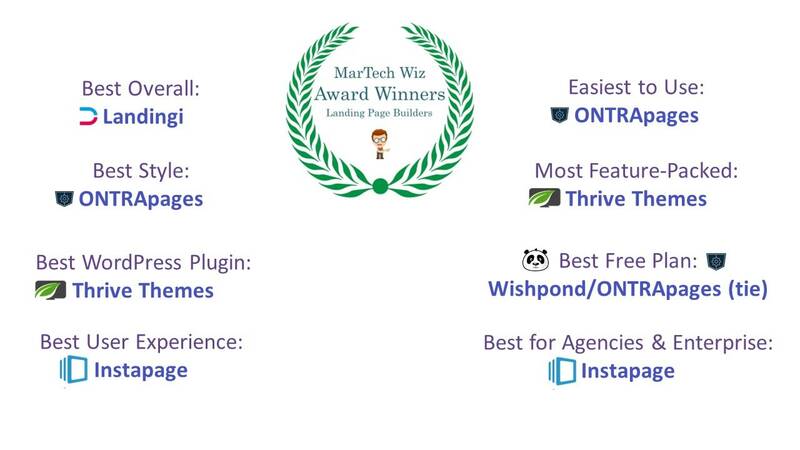 Wishpond also features a marketing automation tool and a robust contest/sweepstake platform. Since these are outside the realm of landing pages we didn’t review these or include them in Wishpond’s features score but you should take them into consideration when evaluating prices. There are over 100 Wishpond templates in varying styles. All of the styles have a clean, modern aesthetic in terms of layout, color and images. A strength is the Wishpond templates for pop-ups, forms and CTAs. So, if you create a form, you have tons of modern styles to choose from. The dashboard and editor user interface are both spacious, clean and bright – a plus for Wishpond’s ranking position. Wishpond prices its basic plan at $69 per month no commitment, up to 1000 leads. If you pay a year upfront, you get a 35% discount ($540). To get A/B testing, CRM integrations, 5 user licenses and 2,500 leads, go Pro for $119 per month. Pay annually to get a 35% discount ($924). With Wishpond pricing, take into account it has marketing automation as well as a contest platform priced in. If you don’t need them it’s probably not a great fit but if you would use them, Wishpond pricing could work out well. Wishpond has a completely free forever plan but is not really publicized (it’s not even mentioned on the Wishpond pricing page). It has most features of the basic plan including marketing automation but is limited to 200 leads. This Wishpond option is one of the best if not the best free landing page builders available. The 14-day Wishpond free trial does require credit card information. Another option is their free forever plan. The list of Wishpond integrations is very healthy compared to Wishpond competitors. Our Wishpond review scores the tool a solid 8 out of 10 resulting in a #7 Wishpond Ranking position. Wishpond pricing is higher than others due to the extra functionality. Its editor is the biggest drawback. The major positives of our Wishpond review are the impressive Wishpond feature set, large Wishpond integration ecosystem and beautiful page templates. Instabuilder 2.0 is a WordPress landing page builder plugin with a strong feature set. Instabuilder’s pricing is a one-time payment offering an affordable option versus the recurring model of most Instabuilder competitors. Mediocre template design was the largest detractor of Instabuilder’s ranking. It makes up for this with its wonderful feature set. Our Instabuilder 2.0 review score comes to 8.25 to rank as the 6th best landing page builder. Instabuilder 2.0 is a Column-based Drag and Drop (CDD) builder. Since it is not a pixel-precise drag and drop editor, you can’t overlap elements and everything needs to fit in a grid which can be restraining. However, you can undo actions and size elements via dragging corners unlike many CDD Instabuilder alternatives. Instabuilder features one of the better CDD editors. Instabuilder 2.0 is a WordPress plugin not a SaaS tool. From the WordPress dashboard, Instabuilder launches in a new tab with minimal toolbars giving you maximum space to edit. Very spacious! The toolbar floats and is even minimizable so you can move it out of the way when necessary. Being a WordPress landing page creator has many advantages. You have your landing pages and other WordPress pages in one place. Also, you can use plugins and shortcodes which you can’t do with most SaaS tools. However, sometimes you may face plugin conflicts but we didn’t with this tool. Although, the Instabuilder installation process itself was not very smooth and should be improved along with onboarding. Instabuilder 2.0 features are a strength that helped boost Instabuilder’s ranking and review score. During our Instabuilder review, we were impressed with the breadth of functionality without a feeling of heaviness. This is a lot of functionality compared to most of Instabuilder’s competitors. And all of these are relevant to landing pages and lead capture generally. 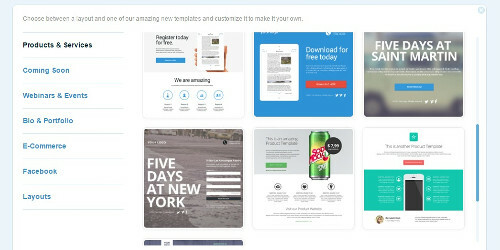 There are around 100 Instabuilder 2.0 templates included in the product. The style of the Instabuilder templates is average – not great, not bad. There is variety in that they have some of the long sales copy designs but also some more modern, clean designs. You should be able to find an Instabuilder template you can make beautiful but it may take more effort than with Instabuilder’s competitors. As a bonus, they have an image editor and the ability to add google fonts as well. Like most WordPress landing page creator plugins, Instabuilder’s pricing model is a one-time payment. Avoiding monthly recurring charges saves a lot of money. Instabuilder 2.0 pricing is between $77 and $197 for 3 site licenses. Compare this to SaaS tool monthly payments which can easily total $200-600 per year on average. There is also a pro monthly membership upgrade for extras like more templates. There is no Instabuilder 2.0 free trial or free plan. Instabuilder has a 60-day money back guarantee. We were pleasantly surprised by Instabuilder. Throughout our Instabuilder review, We kept likely it more and more. The usability coupled with the strong feature set led to a strong Instabuilder 2.0 ranking of #6 top landing page creator. Kickoff Labs ranks 5th in our best landing page builder rankings. This impressive tool has a well-designed user interface and attractive templates. While the original editor is outdated, a promising new editor has emerged in beta. Our Kickoff labs review resulted in an overall score of 8.25. Kickoff labs has two editors. The first is a static editor. Like the name sounds, static editor templates are fixed and provide very few customization options. You are limited to changes in text, images, background, colors and forms (premium plans can edit HTML). About 90% of Kickoff’s templates (50+) are for the static editor. While the new editor is in beta it seems pretty far along. This editor is a mix of 2 styles: page block and column-based drag and drop (CDD). Pre-designed page blocks can be added to the page AND you have the ability to edit those blocks to a certain extent. There are currently only 9 Kickoff labs templates for this new editor. The interface of the new editor maximizes the space for the canvas/template through minimalist design. It is one of the best editor landing page builder interfaces. Kickoff Labs’ new editor is intuitive to use. First, add page blocks which are multi-element sections (like a quotes section or pricing section). They have several professionally-designed page blocks to add to your page. Due to limitations of the CDD, you can only add sections to certain places not wherever you want. Elements can be sized which is not common with Kickoff Labs competitors’ CDD editors. There is no undo functionality unfortunately. One downside is the new editor did freeze up a few times on us during our Kickoff Labs review. But after saving and reloading it was fine. A/B Testing as well as Facebook and WordPress publishing is available in the premium plans. Another premium Kickoff Labs feature is “magic contact data” which pulls in data from all available social media accounts tied to your lead’s email address. Kickoff Labs also has some of the most robust reporting we’ve seen for a landing page tool. A differentiating Kickoff Labs features is “Viral Boost.” This is a system where subscribers are given a personal referral tracking link to share on social media. Anyone who subscribes with their link can in turn refer others and so on. Contests, reward tracking and leaderboards for referrals are all part of the contest module. You can send Autoresponder-like emails to subscribers without an external mailing provider. Since they are not exactly landing page related, these Kickoff Labs features were not factored into the features aspect of Kickoff Labs’ ranking. You can tell design is of central importance to Kickoff Labs. The Kickoff Labs templates, editor and interface are all beautifully designed. Throughout our Kickoff Labs review, we admired the layouts and visuals of the page templates. While you can’t add custom fonts, it comes pre-loaded with tons of Google fonts which should accommodate almost anybody. Additionally, Kickoff labs features an icon library, image library and image color overlay tool to help users maximize the design of their templates. In our Kickoff Labs review score, great design in many aspects propelled Kickoff Labs over many competitors. The premium plan is $69 per month with 35,000 unique visitors a month and several premium features including A/B testing. If you pay one year upfront, you will receive a 30% discount ($576). Kickoff Labs pricing plans go up from here. A Kickoff Labs free trial is available for 30 days, no credit card required. Some of Kickoff Labs integrations like Olark are not commonly found in other builders. This Kickoff labs review resulted in an excellent score of 8.25 out of 10. Our analysis led to Kickoff Labs ranking 5th out of 16 tools we tested. The great design in Kickoff Labs templates and the new editor were the driving forces. The best drag and drop editor in the industry coupled with top tier design and features make Instapage rank as a top landing page builder. Our Instapage review led to an overall score of 8.5 resulting in an Instapage ranking of #4 best landing page builder. Throughout our Instapage review, we found this tool a pleasure to use. Instapage features a Pixel Precise Drag and Drop editor (PPDD) so you can move elements freely on the page. You can easily size elements, overlap elements and undo actions. You can group items or arrange them automatically for precise alignment. The difference between this and column-based drag and drop editors is night and day (see our full Instapage review). The Instapage user interface of the dashboard and editor is clean, simple and intuitive. Instapage has a WordPress plugin which further boosted the usability section of our Instapage ranking. A few Instapage features missing were true animated parallax effect, icon library and dynamic countdown timer actions. More importantly, Instapage lacks timed and exit popups as well as pre-designed templates for forms. Instapage templates are elegant, modern and visual. There are around 150 Instapage templates and more are released all the time. They also have a marketplace for even more Instapage templates from third parties. A lot of options compared to most Instapage competitors. Some nice design elements Instapage features are image color overlay and an image library. The design of the tool as well as templates was a boost for Instapage’s ranking and score. How much we enjoyed using this tool is a testament to its design. Every Instapage pricing tier includes unlimited pages, visitors and domain. This is an improvement over most Instapage competitors. The basic Instapage pricing plan is $39 per month, no commitment. Paid annually it is $348 upfront which is a 25% discount. The Pro plan provides A/B testing and more Instapage integrations. Instapage prices the Pro plan at $69 month to month. Annually, it is an upfront payment of $660 for a 25% discount. A 30-day Instapage free trial is available, no credit card required. Excellent design, features and usability are the factors that made theInstapage ranking climb up. Their spot would have been higher if not for Instapage pricing which is higher than better-ranked Instapage alternatives (yet at the mid-point of the industry). With a strong score of 8.5, Instapage ranking comes in at #4. Thrive is a powerful WordPress plugin suite with a massive number of features at a great price. Thrive’s ranking position of #3 top landing page builder reflects its excellent score of 8.75. In fact, two of Thrive’s competitors scored an 8.75 but the tie-breaker process pegged them at 3. Thrive has WordPress’ best landing page builder. Note: The configuration we use for our Thrive review was actually two related plugins: Thrive Landing Pages and Thrive Leads. We would recommend this or the membership suite which includes both tools. The Thrive Landing Pages editor opens up in a new tab outside of the WordPress dashboard providing a large canvas to work in. You can collapse the toolbar if more space is needed. The bad news first: Thrive Landing Pages uses a column-based drag and drop (CDD) editor which are generally inferior to pixel precise drag and drop editors (PPDD). Why? You can’t easily drag elements exactly where you want on the page – they must fit into a column. You can’t overlap elements either which is an inherent downside of CDD editors. Sizing elements is harder than PPDD. That said, as far as CDD editors go, it one of the better CDDs we tried. It felt well-built and solid through our testing. Due to a slider, sizing images is better than with most Thrive alternatives with similar editors. Generally, you know where something will end up when you move it due to a bar that appears. Thrive Landing Pages has some alignment options which are helpful. There is a useful Thrive feature to add a column by dragging an element to the side of a row. Beside the inherent limitations of this type of editor, it is a great user experience. The Thrive editor is intuitive. There are several Thrive features without being overwhelming. However, if you are not technically inclined it may not be the best tool for you with all the setting and options. But by design, Thrive crafts products with the user experience in mind. Thrive has well-made, concise video tutorials for almost every aspect and a knowledge base. 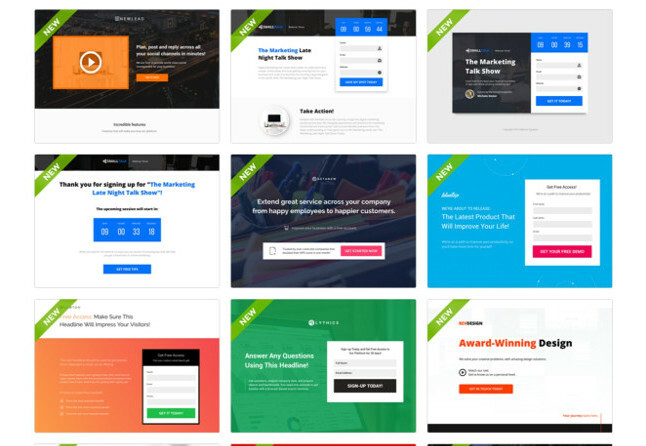 Thrive Landing Pages is packed full of features. Several of which are not commonly found in landing page tools we tested through our top landing page builder rankings. There is a great Thrive feature called Smartlinks, for example. Known subscribers that click on a Smartlink will not be show redundant prompts to subscribe because they are already subscribed! Instead you can simply hide the redundant lead capture forms or replace them with offers like upsells more relevant to a subscriber. Other notable Thrive features include countdown timers, testimonial sections, click to tweet and tables. Since the Thrive Landing Pages offering uses the content editor which is a full site builder, you have several elements like tabbed content that probably won’t be used on a landing page but doesn’t hurt to have. Constantly updated, Thrive releases new product features are a regular occurrence. There are several other Thrive features. Being a WordPress landing page plugin has inherent advantages over SaaS landing page tools. For example, you can insert shortcodes from a plugin (an option most Thrive competitors don’t have). 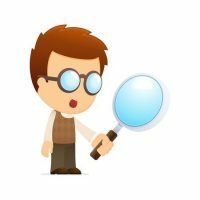 You can use plugins you use with other pages like Yoast for SEO for example. Also, you have all your other pages and posts in one dashboard so that is just much easier than have your landing pages elsewhere. The downside of plugins is conflicts with other plugins. We had one with Wordfence but got it straightened out quickly. One major feature missing is A/B testing (or split testing) of landing pages. This is in most all of the major tools and surprisingly not in Thrive. They do have A/B testing for their opt-in forms with the Thrive Leads plugin but not for pages. You can A/B test pages using third parties (Optimizely and VWO are two big players). In fact, Thrive has a post on how to split test free using Experiments in Google Analytics. But obviously, the best and easiest option would be to have A/B testing integrated into the tool. This ultimately hurt Thrive’s ranking score. If you require chat support you should know Thrive doesn’t offer it. We used the email support systems and got a quick response. The design of Thrive’s landing pages and lead boxes is very good but not the best out of all Thrive alternatives. They have over 150 Thrive landing page templates in diverse styles and designs. However, many are simply different layouts of the same style. They range from simpler, modern style to longer, “busy” sales pages that feel outdated. The Landing Factory is a marketplace with over 100 additional Thrive templates for sale. We would’ve like to have seen an image color overlay option for images and animated parallax backgrounds (you can set a background image to fixed which many other tools mistakenly call parallax). Also, they should add more page blocks/sections. They have some multi element choices but an improvement here would make a lot of sense for Thrive. The element designs are some of the best of the WordPress plugin landing page tools. They make it exciting to add elements like testimonial sections and social share buttons to your page! Thrives pricing includes a one-time payment option, automatically making them well lower-priced than most Thrive alternatives. The two plugins we purchased totaled $167 for 1 license each and we own them (and the pages) forever. Thrive landing pages and Thrive Leads are both $67 for 1 license and $97 for 5 licenses. One site $134, 5 sites $194 for this setup. This includes 1 year of support and unlimited lifetime product updates (unlike OptimizePress). You can simply purchase the Landing Pages plugin solo but the lead capture options are much more limited. Thrive also offers a yearly membership for $228 (~19 per month) which includes all 6 thrive products: Landing Pages, Leads and a couple of other tools plus themes. This is a good deal compared to other SaaS monthly payments. You can also buy a three-month membership for $75. There’s no Thrive pricing option to pay monthly. There is no Thrive free trial. There is a 30-day refund period. Thrive impressed us thoroughly in spite of the CDD editor. Thrive’s ranking of #3 is a strong showing based on the stacked Thrive feature list and affordable pricing. ONTRApages offers the best value in landing page builders. In our ONTRApages review, we found a tool in many ways better than several ONTRApages competitors at a much higher price point. ONTRApages scored an 8.75 resulting in an ONTRApages ranking of #2. ONTRApages is a well-designed page-block builder. So instead of adding individual elements like headlines or images, ONTRApages features page blocks, or pre-designed, multi-element horizontal page sections. ONTRApages has the ease of a static builder while retaining much of the personalization appeal of a drag and drop editor. This is a great option along ONTRApages alternatives. How is it easy? Page blocks are a pre-designed collection of individual elements. Instead of moving or adding individual elements you are restricted to/only have to think about 5 to 10 page block sections. How is it customizable? You can skim through several different styles of ONTRApages template blocks for each section. For example, the testimonial section might have seven different types of testimonial page blocks all styled differently but matching the page style. The best part of our experience during the ONTRApages review was scrolling through different page block options on the page in the editor. We found the tool easy yet powerful resulting in a great ONTRApages ranking position. For example, if you insert an ONTRApages pricing block section on the bottom of your page you simply click right to see the next pricing blocks style on your page in real time. You then cycle through all of the available pre-designed blocks until you find the best one. ONTRApages features list is solid but has less than many ONTRApages competitors. While it doesn’t have every feature, it covers more than the basics. What ONTRApages features are missing? Mostly nice-to-have features not must have features. No digital asset delivery, so it can’t host files for quick digital downloads (you can do this with an ONTRAport account). Yet you can link to a lead magnet on your site, Dropbox, etc through a URL. You can’t publish your landing page as a Facebook page, add custom fonts or integrate with Zapier. On the flip side, some notable ONTRApages features available are A/B testing, exit popups, lightbox popups, a WordPress plugin, custom favicon, advanced form fields, dynamic countdown timer and custom HTML containers. Lastly, ONTRApages features the most advanced photo editor of any landing page builder (yet it does freeze sometimes). Limitations of the free ONTRApages pricing plan include no custom domain, A/B testing, email integrations, ONTRAport branding and a few blocks like countdown timers are off limits. All of this can be remedied by getting the very affordable $15 per month or $99 per year paid plan, which is highly recommended. The design of ONTRApages is stunning. ONTRApages templates and page blocks are modern, welcoming and visually appealing. Sure to make your site look good. The tool has over 40 ONTRApages templates for forms. These are also wonderfully designed and come in various styles. Another great ONTRApages feature is the color suggestion tool that lets you choose from dozens of color palettes. You just need to hover over the different palette options to see them previewed live on the page canvas! You have a restriction on fonts and can only work with fonts designed into that specific landing page. This was not a problem for us – the chosen ones looked so nice we didn’t want to mess with them. By the way, some ONTRApages templates are not technically free or require ONTRAport membership. You can use these ONTRApages templates in the free ONTRApages plan as long as you delete the premium blocks like countdown timer or payment processing. We would estimate more than 90% of ONTRApages template are completely free so not a big issue. Lastly, as mentioned, ONTRApages features a great image editor. All ONTRApages pricing plans are great value – both the paid and the free landing page builder options. While ONTRApages has arguably the best free landing page builder (Wishpond might have something to say about that), you should really take advantage of their affordable, powerful paid plan. ONTRApages pricing provides great bang for your buck and is a better choice at only $15 per month or $99 per year (which equates to $8.25 per month!). ONTRApages’ free plan limitations are very reasonable and ONTRAport branding is subtle. But ONTRApages premium includes autoresponder integration, A/B testing, higher limits and custom domains. There is a free plan tier so no ONTRApages free trial needed. You will be restricted to the certain features above but still able to get a good sense of the tool. While this is an ONTRAport offering, ONTRApages integrates with other email service providers. ONTRApages ranked #2 on our best landing page creators ranking list. It received a score of 8.75 from our ONTRApages review calculations. Great design, usability and price made up for some missing features resulting in a great ONTRApages ranking position. Landingi ranks as our top pick for best landing page builder. The #1 landing page builder packs a ton of features into an intuitive and easy to use pixel-precise drag and drop editor with simple, affordable pricing. Our Landingi review score of 8.75 resulted in Landingi ranking #1. Landingi is intuitive, simple and lightweight. It offers a smooth user experience with still being powerful. The editor style is pixel-precise drag and drop (PPDD). The viewing window of the editor is maximized due to minimizing space for toolbars and sidebars. Convenient tabs allow you to switch between your landing page and thank you page so you can edit both without leaving the editor. The element buttons on the left are large and clear. Every element has a help button for quick access to a tutorial page, often with video. Landingi features ample options and settings to access without cramping up space. That is how a landing page experience should be – simple and clean without being limited. This boosted the usability aspect of the Landingi ranking. Oddly, there is no preview button inside the editor. You have to go out to the dashboard and click preview from the settings. If you use preview a lot, a tip is to keep that preview window open in another tab and just refresh it when you need to view changes. Landingi lacks alignment tools which would be especially helpful in a PPDD given the freedom of movement users have can lead to side effect alignment issues. You can align precisely using the geometry pixel tool but that is more work than needed especially considering the alignment tools available in other tools. Also, while you can add 1, 2, 3 and 4-column boxes you can’t otherwise adjust the size of the columns. They seem to have to be equally spaced which is not always how you want them. Landingi features thoughtful touches that others don’t. For example, there is a fold line marker to show which elements will appear above and below the fold, the initial view of site visitors. We also like the option of “favoriting” a color so you don’t have to enter hex codes so often. Other nice touches are keyboard shortcuts and right click functionality for basic actions like duplicate and delete. One Landingi feature we love is templates for buttons and forms which is not very common with Landingi competitors yet extremely helpful. Unfortunately, there is no WordPress plugin so you will have to configure DNS and CNAME information with your hosting/domain provider for a custom domain. When it comes to features, Landingi ranks up there with any top landing page builder on the market. In our Landingi review, we especially like the strong A/B offering that included the ability to choose the percentage of traffic to send to each variant. It will automatically pick a winner or you can manually choose if desired. With over 100 Landingi templates, you should be able to find one that works for you. Landingi templates are modern and visually striking. Very well done but not the best template designs compared versus Landingi competitors. Great design-related Landingi features factored into our top Landingi ranking included an icon library, different countdown timer styles and pre-designed buttons and forms. Landingi’s pricing plans are affordable and simple. All tiers include every feature: A/B testing, all integrations, chat…everything! There are no limits or restrictions to domains or visitors in Landingi pricing tiers. • Up to 1,000 leads is $29 per month. • Up to 10,000 leads is $119 per month. Landingi pricing goes up from there. There is a 25% annual discount on every plan if paid upfront. You can also send the form responses to an email address or to an Url as POST, a unique Landingi integration. We care deeply about providing accurate and up-to-date information. Please contact us if you think there is an error. We are grateful to bring you this content free of charge. *If you find the right tool and go on to buy it through our link, we may receive a referral commission at no additional cost to you. This support enables us to keep the site up. Thank you! Just came across this post well after publication, and wish I’ seen it when I was shopping around. I tried some options on this list and ended up with LeadPages because it is SO easy to use. I end up saving a bundle on customization and training, and my opt-ins rose almost immediately. Wow Steven!! What a thorough evaluation!! Thank you so much!! Am buying Landingi. Although Convertri is amazing in it’s load speed (no other landing page hosting company can beat their speed), I had to go with Landingi (before I read your review so I’m glad we agree). Landingi is just soooo wonderful to work with. I just wish they had folders for keeping landing pages since each page is listed separately and not within “projects” or “funnels”. So it gets a bit unwieldy over time. And you’re right, no alignment tools is frustrating. And the fact that they have 3 viewpoints (PC, tablet and smartphone) is a big bonus for compatibility. Hey Stephen – thanks for reviewing Lander. I thought your review was very fair and appreciated the missing points for our tool. Just wanted to update you that we’ve changed pricing. One item that I noticed you’d missed in the review was the ability for users to use Dynamic Text Replacement for either Keyword Insertion ads on AdWords or to work with email marketing. Lastly, you’ve pointed out some obvious and not so obvious features that we need to launch. We’re working towards these improvements. Very thorough…best comparison by far. What a comparison/review! Tons of info and all in only one site , here! Thank you Stephen for the marvelous work! Very helpful, thanks Stephen. We went with Instapage because of its integration with infusionsoft. I really wish Landingi had that integration; and too bad Thrive is WP only.